Britain's postal service is up for sale in a massive IPO. The British government plans to sell a majority of its stake in the Royal Mail through an initial public offering that will be one of the U.K.'s largest in decades. Analysts forecast the iconic postal service could be valued up to £3 billion. The government hasn't determined how much of its of stake will be sold. The IPO is expected to take place in the coming weeks, and the stock will be listed on the London Stock Exchange. 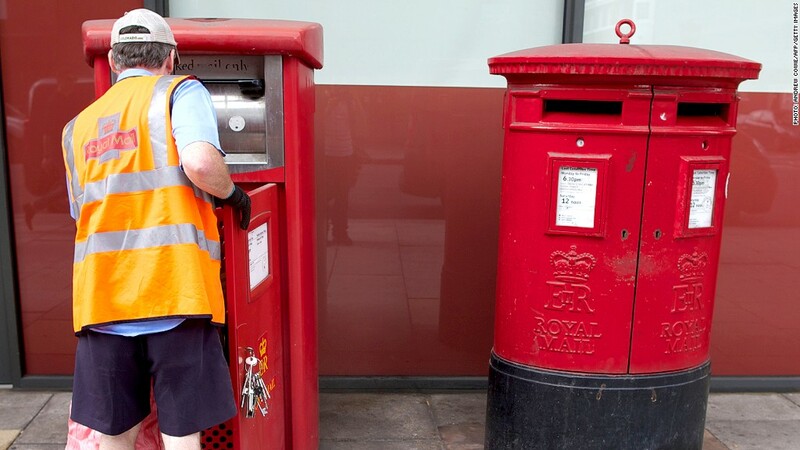 Post offices will remain in government hands, however, after the U.K. separated the postal service from its network of post offices last year. Workers at Royal Mail -- which is one of Britain's biggest employers -- will be granted 10% of the shares, with the remainder on offer to institutional investors and the general public. But the news isn't welcome in all corners. The Communication Workers Union opposes the sale and is gearing up for strikes over post-privatization pay and job security. Britain has a history of selling high-profile state-owned enterprises, including Rolls Royce, British Airways and BP. But the Royal Mail was seen by some -- including conservative leader and privatization enthusiast Margaret Thatcher -- as off limits. Numerous efforts by past U.K. governments to sell the postal service have failed due to heavy opposition. At the same time, the U.K. IPO market is heating up. A recent report by Ernst & Young found public offerings on London's premium market raised £2.4 billion in the first half this year -- more than the whole of 2012. London ranks third behind the New York Stock Exchange and the NASDAQ for the highest number of deals in the first quarter of 2013.